$45,950 (1985-new) . . . 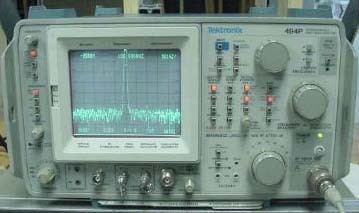 The 494P is a high performance, portable spectrum analyzer offering the measurement capability and performance found in larger, more expensive benchtop analyzers. The 494P combines outstanding sensitivity, 30 Hz resolution bandwidths, synthesized tuning and wide dynamic range in a MIL-rugged package.